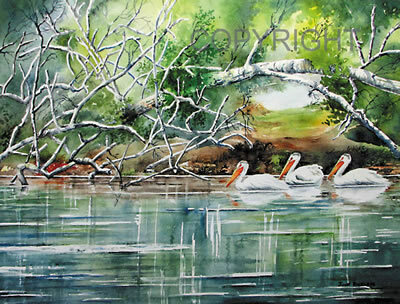 June (Lucyk) Ricklefs earned her Bachelor of Fine Arts degree from the University of Manitoba. 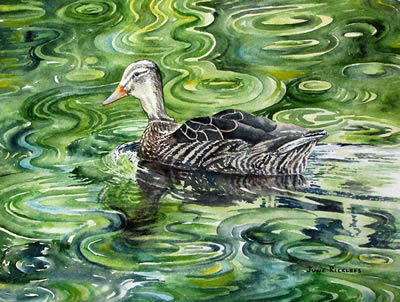 In 2002 she founded the group Prairie River Artists in Saskatoon. 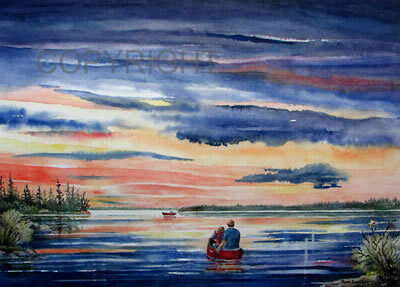 She moved into our area in 2011 to continue painting the beautiful landscapes of central and northern Saskatchewan. 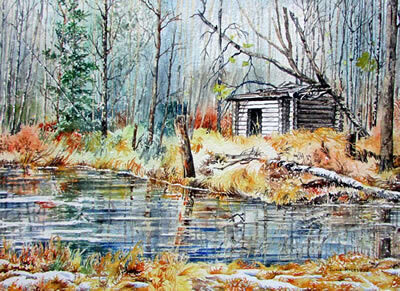 She has also done paintings of the Yukon, Mexico and France. 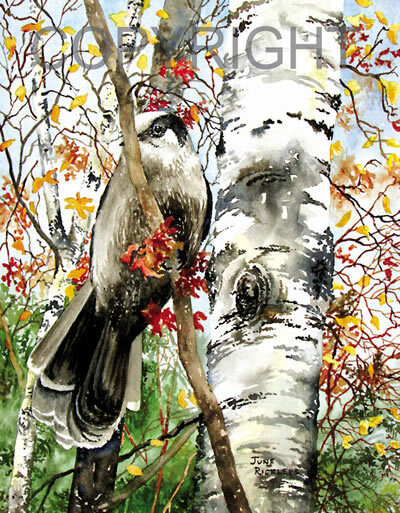 As well as being one of the artists on the 263 Art Studio Tour, June belongs to the Big Sky Artists in Saskatoon, Saskatchewan. 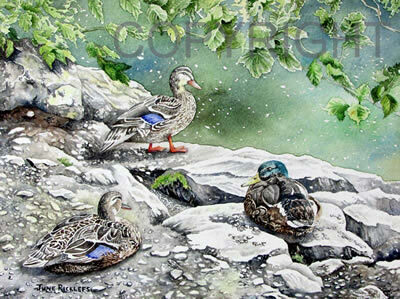 June works in watercolour on her favourite subjects of landscape, wildlife, and floral. 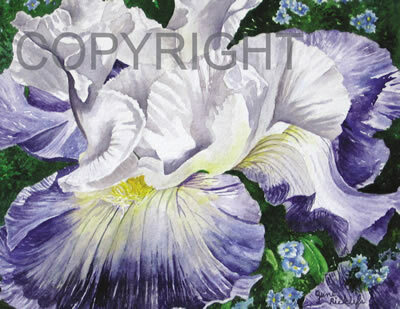 Several of her works are available in prints or greeting cards. 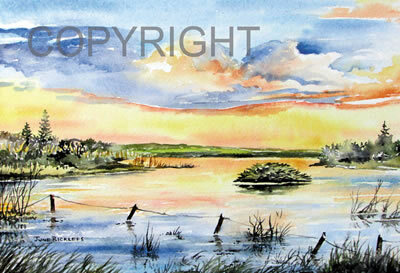 As an artist, if I had waited for inspiration to strike, I would not have done much painting. 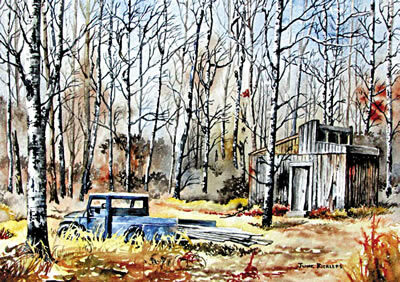 I have to do the work first to get to the heart of what I am trying to accomplish. 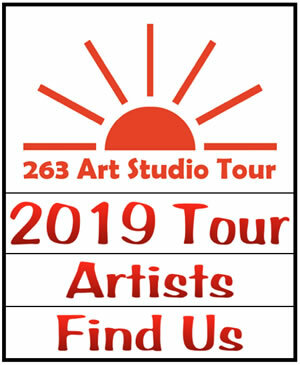 June welcomes by-appointment visits outside of the 263 Art Studio Tour dates.